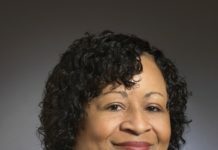 NORTHBROOK, Ill. – The Allstate Corporation (NYSE: ALL) recently reported financial results for the fourth quarter and full year of 2016. “Allstate’s ability to execute operational improvements in a challenging environment delivered excellent results in 2016,” said Tom Wilson, chairman and chief executive officer of The Allstate Corporation. “In the fourth quarter, net income was $811 million, with operating earnings per share* of $2.17. For the full year, net income was $1.76 billion and operating income* was $1.84 billion on total revenues of $36.5 billion. Overall insurance policies in force declined modestly as strong growth at Allstate Benefits was more than offset by a decline in Property-Liability insurance caused by auto profit improvement actions. The recorded combined ratio for the year was 96.1 as the impact of an $853 million increase in catastrophe losses was partially offset by good underlying insurance margins. The full-year underlying combined ratio* of 87.9 was at the favorable end of our annual outlook range of 88-90, as the auto profit improvement plan was on pace, homeowners margins were maintained and expenses were well controlled. Continuation of these initiatives are expected to result in an annual underlying combined ratio* of 87-89(1) for 2017. “Proactive management of the investment portfolio in a volatile environment generated a total return of 4.4% for 2016. 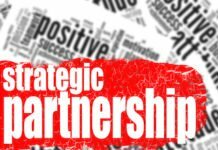 We simultaneously broadened the company’s strategic platforms, forming Arity to leverage capabilities in the developing telematics business in 2016 and acquiring SquareTrade in January 2017 to expand our protection offerings to include consumer devices. Shareholders were served well by returning $1.8 billion of capital through dividends and share repurchases. Allstate continues to invest in our people and communities, in keeping with our view that corporations can do more,” concluded Wilson. • Total 2016 revenue of $36.5 billion reflected a 3.3% increase in property-liability insurance premium and a 5.4% increase in Allstate Financial premium and contract charges compared to the prior year. • Property-liability net written premium increased 2.4% in 2016 compared to 2015, as the average auto insurance premium increase of 6.3% in the Allstate Brand was offset by a 2.8% decline in policies in force across all three underwriting brands. • Total return on the $81.8 billion investment portfolio was a strong 4.4% for 2016, despite continued low market yields. Net investment income of $3.0 billion was 3.6% lower than in 2015, primarily due to a shortening of the fixed income portfolio duration and a shift to equity investments that will optimize long-term returns per unit of risk. Performance-based investments, which includes private equity and real estate, grew by 17.2% to $6.0 billion and generated $611 million of net investment income, which was $13 million higher than 2015. Total realized capital losses of $90 million were recognized for the year, as impairment losses were partially offset by net realized gains on sales. • Net income applicable to common shareholders was $1.8 billion, or $4.67 per diluted share in 2016, compared to $2.1 billion, or $5.05 per diluted share in 2015, as higher catastrophe losses and lower investment income more than offset the improvement in the underlying combined ratio. • Total operating income* was $1.8 billion, or $4.87 per diluted share in 2016, compared to $2.1 billion, or $5.19 per diluted share in 2015. Property-liability underwriting income of $1.2 billion for 2016 was $349 million lower than the prior year, due to an $853 million increase in pre-tax catastrophe losses, partially offset by improved underlying combined ratios across all three brands. The Allstate brand auto underlying combined ratio* improved 0.9 points for the year. The Esurance auto underlying combined ratio* of 102.4 improved 5.1 points in 2016 compared to 2015. Allstate Financial operating income of $448 million for 2016 was $61 million lower than 2015, due primarily to lower fixed income portfolio yields. 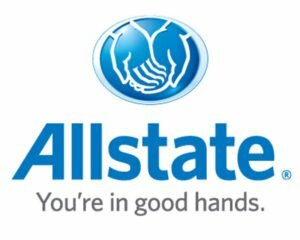 • Click HERE for a link to Allstate’s complete 2016 Earnings News Release.